Believe it or not, establishments that allow BYOB (bring your own beverage) are not nearly as common in Austin as they are in many other (read: larger) cities. So why do the handful that decide to go the BYOB route do so? 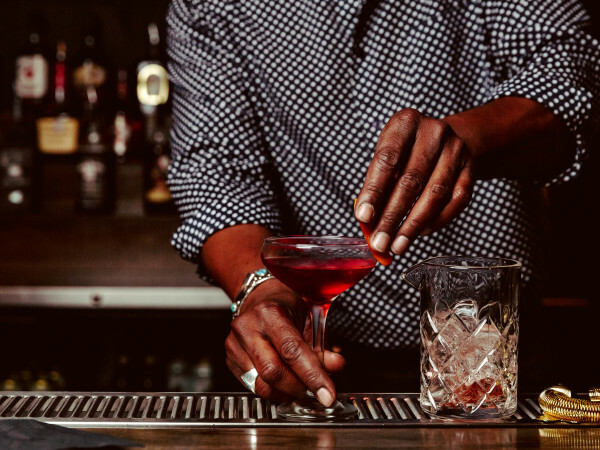 According to Carolyn Beck of the Texas Alcoholic Beverage Commission (TABC), permits to serve alcohol can run anywhere between $300 and $3,000 a year, which is an investment new or small business owners might not be prepared to make. 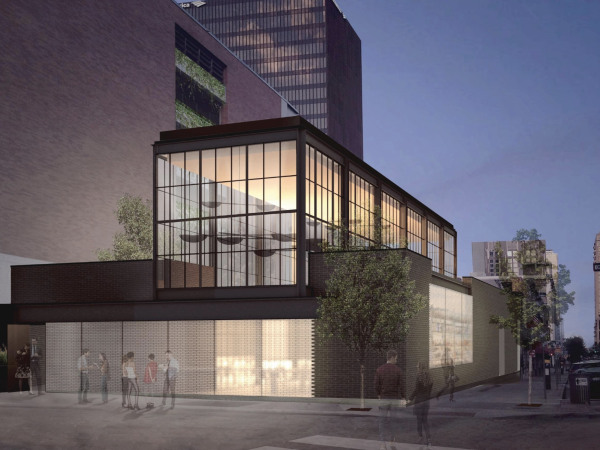 Or, Beck says, the restaurant might not be in a location where it qualifies for a permit, or it might not want to be regulated as closely as a location with a permit. Still, other business owners don’t want the added liability of serving alcohol. This campus-area mainstay in a 34th Street bungalow is known for its lunchtime sandwich artistry, but they also offer a special dinner menu Thursdays through Saturdays until 9 p.m. Sauvignon blanc would be a welcome accompaniment to the panfried crabcakes with chimichurri and spicy apple pico ($9.00) or the seared wild salmon with lemon caper cream sauce and green beans ($16.00). Roasted Brussels sprouts with garlic aioli ($3.75) would make for a great snack with a pilsner, and their cinnamon roll affogato with vanilla ice cream and a shot of espresso ($5.25) would pair nicely with a pinot noir — and all for a minimal $3.50 corkage fee. Part food trailer, part alfresco seating area draped with billowy fabric, G’raj Mahal is tucked away from the calamity of Rainey Street. Congregate with friends and wine over snacks like naan stuffed with potato, onion, or paneer, or sprinkled with garlic or coconut ($3), pakora vegetable fritters ($4), or lamb samosas ($4). An IPA would go down easily with the spicy chicken vindaloo ($12) or sorpotel (pork chili, $12). Expect to pay more than you would at traditional Indian restaurants, but the fact that they are BYOB (and open until 2 a.m.) makes it well worth it. Be sure to hit up the Flag Store or nearby North Loop Food Store for a bottle of wine (or two) before you arrive here with friends. Then kick back and relax in the lavish indoor lounge or the spacious patio space. A lamb shish kebob plate ($17) or the shawarma hummus plate ($8) would pair well with a dry rose or malbec, and bubbly would prime sipping with a mezze platter ($11). Flavored hookahs (normally $12-15) are half price during happy hour (Tuesday through Thursdays from 6 - 7 p.m.), and belly dancers begin around 8 p.m. each night. Note that there is a $3.00 corking fee and they’re open until midnight Tuesday through Sunday. It’s not very common knowledge that The Omelettry is BYOB, or that the line for brunch would be even longer than it already is. But it’s true — they welcome champagne for DIY-mimosas using their juice. (Just remember to purchase it on Saturday for Sunday brunch, lest TABC rain on your parade). Though named for their egg dishes, their pancakes ($3.95, short stack) are some of the fluffiest in town. And since breakfast is served all day, dinner isn’t the only meal available after 5 p.m. Some say Little Deli has the best (Jersey-style, thin crust) pizza in town. But what many don’t know is that they’ll not only encourage you to get comfy at one of their picnic tables or gazebo with your own beer or wine — they’ll even bring you out a bucket of ice (and coolers are welcome too)! A cold one would go down quite nicely with their hearty pastrami ($8.49) or roast beef ($7.49) sandwiches or Italian subs ($6.49), and a simple red table wine just makes sense next to a cheesy calzone ($7.25) or shared 18” pie ($14.90-$22.00). Conveniently, there's a market located right across the lot to fulfill your beverage needs. New India Cuisine offers a Marathi-style and mainly vegetarian menu, with lots of fresh fish and gluten-free options. For just a $1 per person corking fee, a vinho verde or pinot grigio would be a light and refreshing match for the Malvani grilled fish of the day ($18.00) or the Gomantak red snapper coconut curry ($15.00). An IPA would be delicious with their goat or lamb biryani ($15.00), and they have a whole menu of finger foods which would share nicely between a group of friends. If you’re lucky, you might catch some live sitar music too! The name is appropriate because, inside the tiny colorful dining room, you really do feel like you are in an abuelita’s kitchen. Connie encourages you to bring your own beer, wine — or even margaritas (as long as they are pre-mixed) — to enjoy with their homestyle Mexican dishes, like barbacoa, mole and enchiladas. Check their website for daily specials! Despite its name, the real specialty at Rockin’ Rice is the KFC (Korean Fried Chicken). A generous heap of pieces will run about $15 and they come coated in your choice of a garlicky or spicy-sweet sauce and accompanied by pickles. Stop by Passionate Spirits next door on your way in for a bottle of soju and a six-pack of light Hite for the table. That might be just what you need to get in the mood for Austin Karaoke, their neighbor to the other side (also BYOB). Since Three Little Pigs opened in the parking lot of East End Wines, they’ve been known for their pork belly slider ($7) and meatloaf with grits and greens ($7). But each day the daily specials menu fluctuates with a variety of multicultural (and all equally well-crafted) items, like twice-cooked pig cheeks with Szechaun style noodles and leek dumplings (which pair well with a tart Lebanese rose) to venison sausage and Brussels sprouts (try it with a petit sirah). 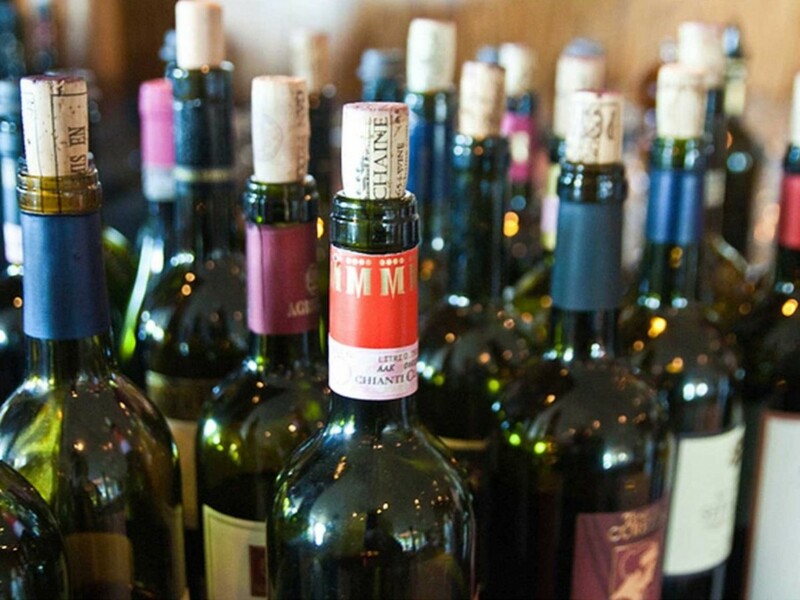 All wine must be purchased from East End Wines, and there is a one-time $7.00 corkage fee. 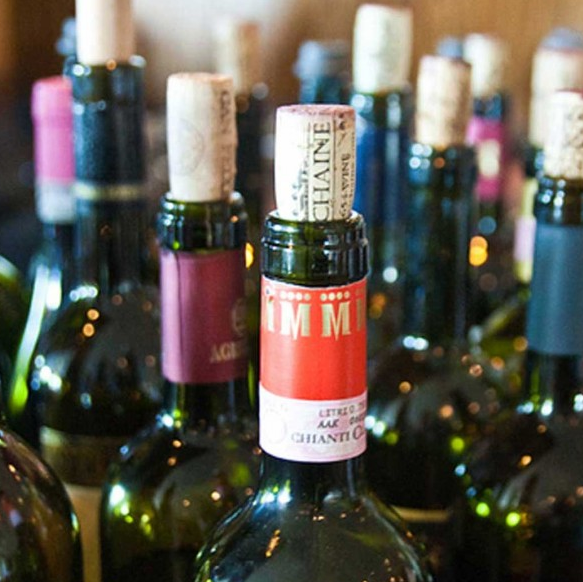 They also offer free weekly wine tastings each Friday from 4- 8 p.m. 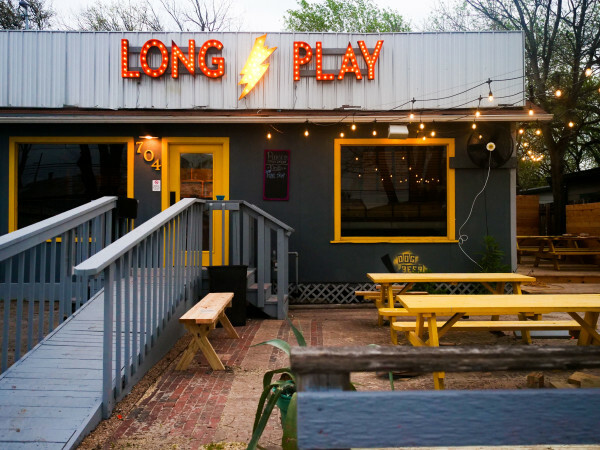 Skip the line for Franklin Barbecue just down the street; your afternoon will be better spent cracking open a beer and enjoying Micklethwait Craft Meats at a sunny picnic table. Something crisp and simple (perhaps a Session?) would be the best way to showcase Tom Micklethwait’s flavorful, artisanal sausages ($13/pound), but we could see a citrus-infused hefeweizen or a dry cider also going well with his carefully crafted meats and sides. This tropical East Side cafe serves beer and wine but encourages customers to bring in their own bottles of cachaca (Brazilian sugar cane liquor) and they will provide caipirinha set-ups (muddled lime, sugar, ice) for $2.50 each. The caipirinha, the national drink of Brazil, is a most refreshing way to wash down savory pastries (salgadinhos) like bolinho de aipim de queijo (yucca root pastry stuffed with smoked Gouda and red pepper) or risoli de camarão (shrimp pastry, both $4.40). The Rainey Street location of this tapas trailer encourages diners to bring a bottle of red or white wine to complete the pitchers of sangria set-ups they provide for $11 (and $7 on Wednesdays). Tempranillo would be a wonderful accompaniment to their albóndigas (savory meatballs simmered in tomato brandy sauce, $6), while cava would be a quenching option paired with alcachofas fritas (fried artichokes, $6) or patatas bravas (handcut potatoes with spicy tomato sauce and garlic aioli, $6). Enjoy an interior Mexican meal at any of their outside tables or on board the “bustaurant”: a festive, talavera-tiled bus with two tables and bar seating. Not only do they welcome BYOB but they offer free beer, wine and margaritas most Thursdays through Sundays to the tune of live music. A strip mall in Oak Hill might be one of the last places one would expect to find a modern, European cafe serving delicate thin-crust pizza and hand-rolled ravioli. The Albanezze pizza ($10.83-$17.86) features a housemade Lebanese lamb/beef sausage smoked for 25 days — try it with a Nero d’Avola. Another signature item is the tortellini Piamontessa (shrimp, fresh berries, mint, creamy pesto, $13), which would pair nicely with a torrontés. Save room dessert, for they offer traditional items like tiramisu and cannolis and more adventurous ones like Limoncello-infused cake, which would all go down spectacularly with some bubbly. Beer and wine are welcome with a smile at Your Mom’s Burger Bar, but beer definitely seems to be the beverage of choice. Imagine a cold Pacifico with a Frida Kahlo (chorizo-stuffed burger, monterey jack cheese, fried egg, guacamole, onion, chipotle lime spread, $7.99). Or perhaps an Abita with a Marie Laveau (boudin-stuffed burger, jack cheese, lettuce, tomato, remoulade). Or maybe just have at it with a sixer of something fizzy and a platter of fried pickles, onion rings, mushrooms, and fries ($9.59). No one’s going to stop you from showing up here with a six-pack or two at their original Rosewood location (and it’ll be a lot easier to do that once Quickie Pickie opens!). You might even stroll next door to Trailer Space and happen upon a free show. And as good as a hefeweizen and a Homer (meatballs, habanero, red pepper, onion) sounds, or the Smors (Italian sausage, mushroom, roasted onion and pepper) and a Peroni... PBR works just fine too. Open until 10 p.m. Sunday through Thursday and 11 p.m. Friday and Saturday. It’s almost a requirement to show up with a cooler, especially if you arrive with a table full of family-style diners. A local brew would be most appropriate, and we bet the Austin Beerworks Peacemaker Extra Pale Ale would be a match for their hearty pork rib plate ($13.95). Or toast to the place by bringing a bottle of Jester King’s Salt Lick, a dry hopped ale whose malt is smoked over the famous barbecue joint’s pecan wood.